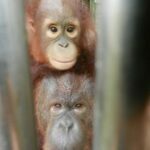 There’s even a petition at change.org titled Stop torturing orangutans at Melaka Zoo. You can read the petition at this link. 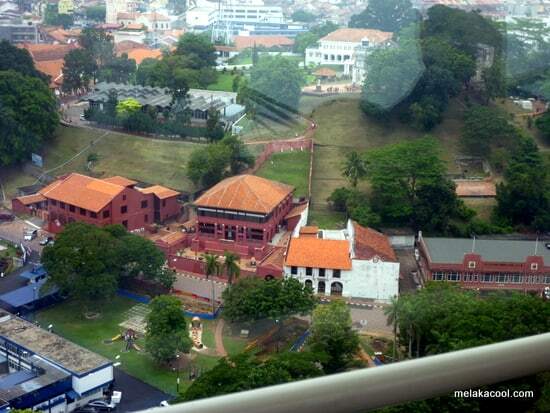 A UK-based NGO wants the Melaka Zoo management persecuted and their staff sent for training on animal welfare to the Singapore Zoo. Nature Alert chief executive officer Sean Whyte said the Orang Utan was an acknowledged endangered species protected under Malaysian Law. “The Melaka Zoo management must be prosecuted for this cruelty. It’s no use the Department of Wildlife and National Parks (Perhilitan) sitting in their cosy air-conditioned offices with their eyes wide shut. “They are paid to enforce the law, but as we know, they only do so when stung into action by public criticism. What’s the point of the new law if they won’t enforce it?” asked Whyte. More at FreeMalaysiaToday. Orangutans are being locked up in tiny cages and deprived of food and water by cruel zookeepers, it emerged today. Left without any stimulation or room to exercise, the intelligent creatures sit and stare out hopelessly from behind the bars, according to campaigners in Malaysia. The endangered species are trapped for up to 24 hours a day in their cramped quarters alongside other mistreated animals at Melaka Zoo, south of Kuala Lumpur, according to The Mirror. Read more at MailOnline. Chief Minister Datuk Seri Mohd Ali Rustam said the state government had so far received over 3,000 complaints, including e-mails from animal lovers overseas, that the orang utan enclosures were too small. He pointed out that the state government was also ready to set aside a 4ha piece of land either at the Botanical Garden in Ayer Keroh or Hutan Rekreasi in Sungai Udang as the primates’ new enclosure. Via TheStar.